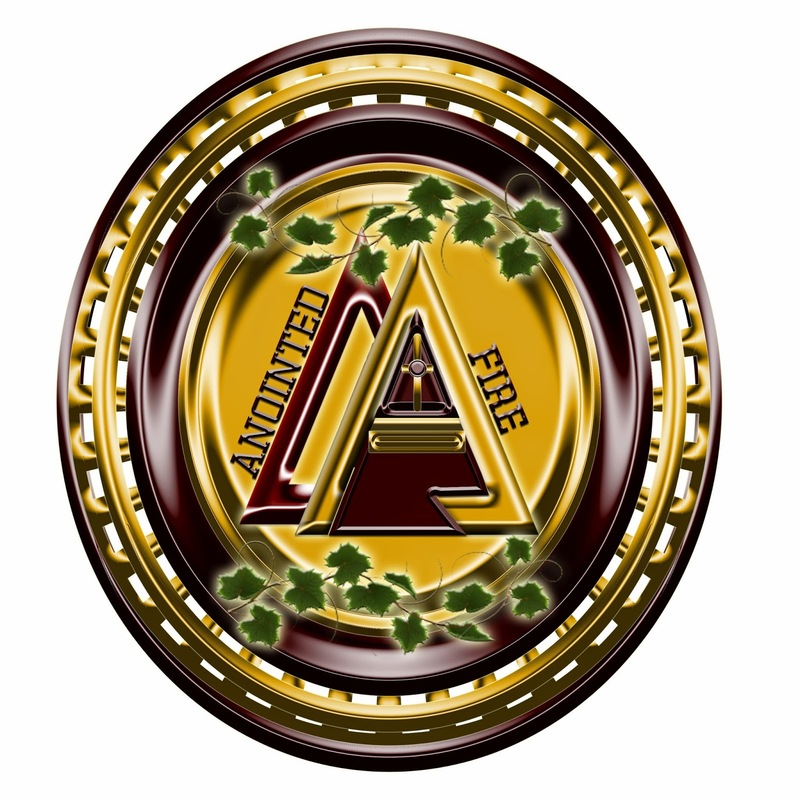 Anointed Fire started off as a radio segment that was aired on Enlighten Radio. I'd been approached about doing radio, and I couldn't resist. After all, I'd done radio before...only, at that time, I wasn't completely delivered, so I promoted hip hop and up and coming hip hop artists. Of course, during that time, the LORD spanked me some kinda bad, and I finally gave up listening to, promoting or having any association with hip hop. "What are you going to call your radio segment?" That was a good question, and I didn't <immediately> have an answer. Here I was scheduling my first broadcast, and I didn't know what my "show" would be called, and that's when I heard the LORD say, "Anointed Fire." The name in itself caught me off guard. It wasn't just the name that surprised me, it was what the name entailed. Immediately, I began to think about the word "anointed". The oil used to anoint people is often extracted from olives, and those olives had to be pressed beyond recognition to extract those oils. Of course, fire represents deliverance and destruction. Suddenly, it felt as if my life and all of my trials were flashing before my eyes, and for a moment, I felt that I was finally beginning to understand the pressings I'd endured over the course of my life. The show was awesome, and I really enjoyed working with Enlighten Radio, but during that time, I learned a LOT about myself. I learned that I absolutely hate schedules; I'm better with speaking, writing and just living when I'm not locked into a schedule. I learned that I am a better speaker when I pretty much don't plan what I'm going to say; I have to allow the HOLY SPIRIT to use me, otherwise, my quick-paced talking will trip over my southern accent, and I'll stumble over my own words. I learned that I'd better get all of my aforementioned issues under control before I attempted to work under anyone's leadership. So, I decided to cancel my segment and continue building the ministry that GOD had given me. Not long after my segment ended, I launched Anointed Fire Magazine, and I was just blown away with my new assignment. As I was prepping to launch the magazine, I heard the LORD telling me to do everything in excellence. Excellence represents HIS majesty. Don't just throw something together; that's work of the flesh, but GOD told me to represent HIM in pure, unquestionable excellence, and I was happy to oblige. Anointed Fire Magazine continued for over a year before I decided to take a break and re-organize the magazine. I'd made a few mistakes in my leadership, and those mistakes made running the magazine a burden. Nothing we do for GOD should be a burden, so I knew that I needed to take some time to get myself together as a leader so I could relaunch the magazine, and develop a team to help me run the publication. Of course, Anointed Fire continues to grow, so this list will likely be doubled within the next year or two. My goal is to become the very leader that I'm teaching others to be.